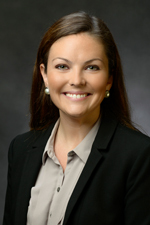 Julia P. Belton joined Garfunkel Wild, P.C. as an Associate in 2015. She is a member of the firm’s Health Care, E-Health and Telemedicine, Finance and Real Estate and Business practice groups, which advise clients on a host of general commercial and health care matters, including federal and state regulatory matters, compliance, tax, business structuring, mergers, sales and acquisitions of various health care entities, and employment and equity ownership agreements for practices and health care facilities. Prior to attending law school, Ms. Belton worked in the health care industry as a strategy consultant, with a focus on management, corporate and strategy consulting for top pharmaceutical companies and executive leadership. Ms. Belton received her B.S. in Business Administration from Saint Joseph’s University, with a concentration in pharmaceutical marketing, and her J.D. from Seton Hall University School of Law, with a concentration in Health Law.